By Tuesday night, the National Weather Service was reporting 60 inches (that's 5 feet!) of snowfall about a mile south of Lancaster, New York. Just six miles northwest from that spot, at Buffalo Niagara International Airport, only 3.9 inches were reported. 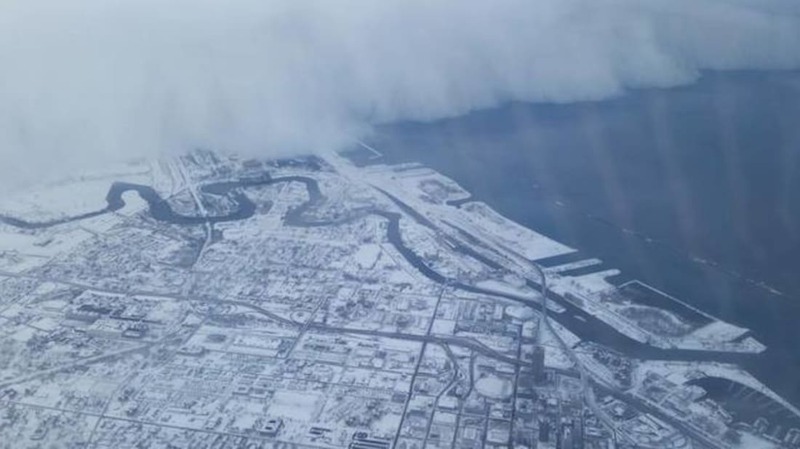 The intensity and disparity of the snow is a result of something called the lake effect. 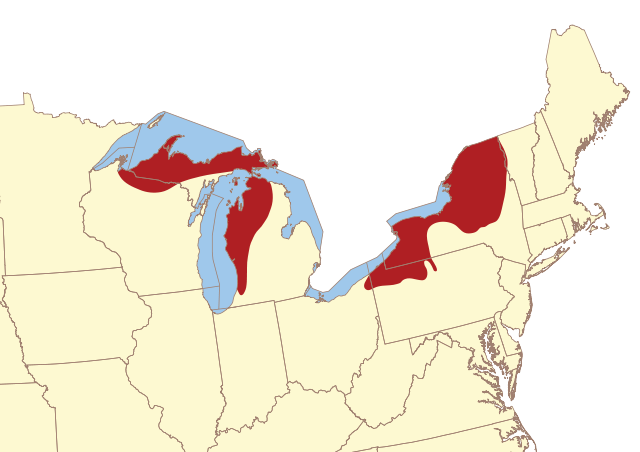 As you probably guessed, to experience lake-effect snow, you need a lake, which is why the area around the Great Lakes is so susceptible to it. Specifically, the southern and eastern shores of the Lakes are considered "snow belts" because, with winds prevailing from the northwest, these areas tend to get hit the hardest. The primary factor in creating lake-effect snow is a temperature difference between the lake and the air above it. Because water has a high specific heat, it warms and cools much more slowly than the air around it. All summer, the sun heats the lake, which stays warm deep into autumn. When air temperatures dip, like they did this week, we get the necessary temperature difference for a lake-effect. As the cool air passes over the lake, moisture from the water evaporates and the air directly above the surface heats up. This warm, wet air rises and condenses, quickly forming heavy clouds. The rate of change in temperature as you move up through the air is known as the "lapse rate"; the greater the lapse rate, the more unstable a system is—and the more prone it is to create weather events. Encountering the shore only exacerbates the situation. Increased friction causes the wind to slow down and clouds to "pile up" while hills and variable topography push air up even more dramatically, causing more cooling and more condensation.